A 285 unit Subdivision located in Silverthorne Colorado. Buildings consist of single family homes, duplexes and triplexes. Association dues are collected annually to cover trash removal, snow hauling, open space maintenance and community conformity. 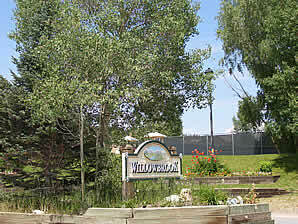 The Willowbrook annual meeting will be held on Saturday, November 2, 2019 at 9:00 am in the Silverthorne Town Hall. The Willowbrook Meadows HOA Governing Documents require review and approval for changes to building exteriors. Please be sure to review the "ARC Overview and Procedures Page" below and to fillout and submit the appropriate exterior remodel change form prior to completing any changes to your buildings exterior. Please contact Summit Resort Group Property Management @ 970-468-9137 should you have any questions.